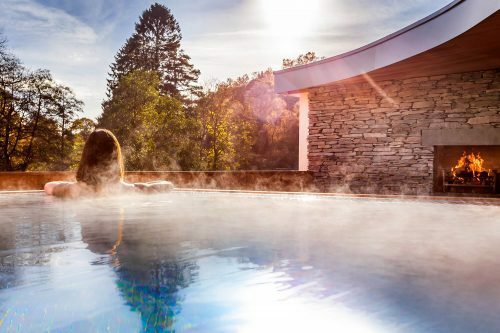 National Spa Week 2018 kicks off in September with Spabreaks.com taking the reigns as the official booking partner of the UK Spa Association’s annual celebration of the spa industry and the benefits it provides the public. The week coincides with Spabreaks.com 10thanniversary. Having launched in 2008, Spabreaks.com has swiftly become Europe’s leading spa booking agency, with over 800 venues worldwide. The official booking partner of the UK Spa Association’s National Spa Week, Spabreaks.com is also Europe’s leading spa booking agency working with more than 800 venues in the UK and overseas. The business helps more than 6,000 people to find the perfect spa day or break each week. In the run up to and throughout National Spa Week visitors to Spabreaks.com will be able to search and book spas throughout the UK with many offering discounts and ‘friend goes free’ deals. Spabreaks.com will also be using its position as industry leader and innovator to highlight its Spa for All umbrella – a unique offering showcasing spa days and breaks with ‘every body’ in mind including those with disabilities or recovering from cancer and spas aimed specifically at men. Spabreaks.com nationwide service allows you to choose between booking online, over the phone or using their online chat facility, and there’s the opportunity to purchase gift vouchers delivered by email, post, or as part of a gift box. Spabreaks.com will be celebrating its 10thanniversary in 2018. Over time, life with Lumity is more than just beautiful skin – it is a new inner radiance. Lumity Life’s resident scientist set out on a mission to discover the answers to the age-old questions about maintaining the health and radiance of youth, inside and out. Years of careful research led to Lumity Life as we know it today; a supplement designed to effectively sustain the healthy functioning of the whole body through the years. This year, Lumity Life is proud to be partnering with Spabreaks.com and the UK Spa Association to bring health and wellbeing to spa lovers across the country.